Rob Reich is professor of political science and, by courtesy, professor in the department of philosophy and in the Graduate School of Education, at Stanford University. 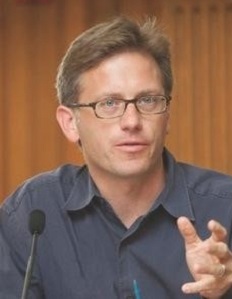 He is a faculty co-director of the Center on Philanthropy and Civil Society (publisher of the Stanford Social Innovation Review) and the director of the Center for Ethics in Society, both at Stanford University. Focused on contemporary political theory, Reich is currently exploring the relationship between philanthropy, democracy, and justice. He is the author of Bridging Liberalism and Multiculturalism in American Education, co-author of Democracy at Risk: How Political Choices Undermine Citizen Participation, and co-editor of Toward a Humanist Justice: The Political Philosophy of Susan Moller Okin, Occupy the Future, and Education, Justice, and Democracy. He began his career as a sixth-grade teacher at Rusk Elementary School in Houston, Texas, through Teach for America and is the recipient of several teaching awards, including the Phi Beta Kappa Undergraduate Teaching Award and the Walter J. Gores Award, Stanford University’s highest award for teaching. He serves as a board member of GiveWell.org. Reich’s doctorate is from Stanford University.